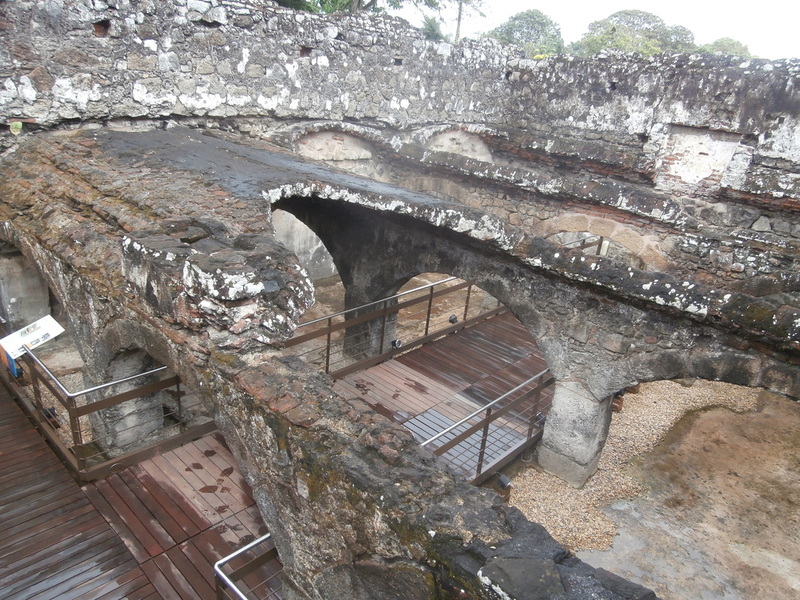 The original site where Panama was located was an indian village taken over by the spaniards and transformed into a typical spanish city of the 1500's. The city had the Royal Houses where gold and other valuables were collected before being sent to Spain. Of importance too was the Cathedral, a large structure with six bells at the top of the tower. This original city had the house of the governor, the mayor's home and of course the bishop's house which was located next to the main church. There were convents and monasteries as well as private houses. The streets had names just like today, La Carrera street ran along the sea while the Empedrada street was probably the most important avenue as it headed straight into the church of the cathedral. It is believed that the population of the city was of about five thousand people, of those around 800 were spaniards and about a dozen of them, citizens of countries friendly to spain like Italy and Portugal. The rest were indian and black slaves brought from Africa by the british and the portuguese and sold to the spaniards who put them to do the heavy work of building large structures in the city. The original Panama was an open city unlike the cities of the Caribben sea that were built like castles with walls around them. The Pacific or South Sea as it was called then was an empty sea, no pirates of any kind were roaming the the ocean at the time. In january of 1671 Henry Morgan in the company of about 1200 men was able to take the city, attacking it from land and finally taking it. Morgan stayed in Panama for a month taking with him treasure and hostages that were later exchanged for ransom money. After the destruction of Panama by fire, the spaniards that remained, on orders of the queen of Spain, moved the city to what is today the Old Quarter which is located less than ten miles from where the original city was located, so the New Panama was born. What we now today as the Old Quarter was known back then as the New Panama. Today both locations are considered to be part of the world heritage.